Are “Natural” Sweeteners Really Any Healthier Than Sugar? People often look to me, as a registered dietitian, for my seal of approval as they douse yogurt with agave or flood their coffee with turbinado sugar because "it's natural." But you won't find me giving a nutrition green light to use copious amounts of sugar, regardless of where it comes from. (How much sugar should you be eating? Find out here.) Whether you choose maple syrup, honey or molasses is still predominately a choice based on taste preferences rather than nutrition. However, in small amounts sugar and other sweeteners are OK. These days, with so many different sweeteners available at the grocery store, it can be tough to decide which one to buy. Some claim to be healthy, but are they really? We compared 12 sweeteners to help you decide which one to choose and how to use it. 1 cup = 720 cal. Science Says : Composed of 50% glucose, 50% fructose, this pure white sugar has been processed so has few minerals and antioxidants. Best For : Making sugar cookies, meringue toppings and delicate, fluffy cakes. 1 cup = 960 cal. Science Says : Agave contains up to 90% fructose--the most of any of the sweeteners mentioned here. Best For: Giving smoothies and iced drinks a touch of sweetness. To Use in Baking : For 1 cup sugar use: ¾ cup agave and reduce liquid by 2 Tbsp. for each cup replaced and lower oven temp by 25°F. Science Says : Delivers slightly more fructose than glucose. 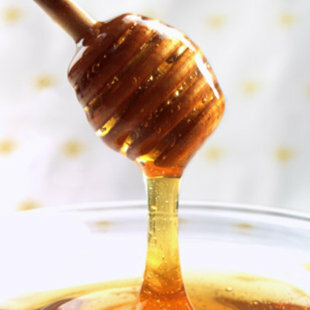 Honey's antioxidant quantity varies greatly based on type; buckwheat honey typically delivers the most. Best For : Providing a delicate, sweet flavor to dressings, marinades and slaws. To Use in Baking : For 1 cup sugar use: ¾ cup honey, reduce liquid by 2 Tbsp. for each cup replaced and lower oven temperature by 25°F. Science Says : About 50% each glucose and fructose, dark molasses has the highest antioxidant levels of all sweeteners (per serving, similar to levels in nuts and berries). Best For : Adds distinct flavor and a hint of sweetness to baked beans, homemade BBQ sauces, brown bread and ginger cookies. Has a toasty, slightly bitter flavor. To Use in Baking : For 1 cup sugar use: 1 1/3 cups molasses, reduce liquid by 2 Tbsp. for each cup replaced and lower oven temperature by 25°F. Science Says : 50% fructose and 50% glucose. Made by adding molasses back to white sugar, brown sugar has more calcium and iron than white (but only trace amounts). Best For: Bringing caramel flavor to cookies and brownies, darker cakes like carrot cake and quick bread; topping oatmeal and fruit crisps and crumbles. To Use in Baking : For 1 cup sugar use: 1 cup packed brown sugar. Science Says : 50% fructose and 50% glucose, the brown color comes from small amounts of molasses that haven't been stripped out. Best For : Topping cookies and quick breads with a sugary crackle. To Use in Baking : For 1 cup sugar use: 1 cup turbinado. 1 cup = 800 cal. Science Says : About 50-50 glucose and fructose (depending on grade), it contains small amounts of polyphenols--antioxidants that help quell inflammation. Best For : Flavoring pork with a glaze or as part of a marinade or salad dressing. And for pouring on pancakes, waffles and French toast. To Use in Baking : For 1 cup sugar use: ¾ cup maple syrup and reduce liquid by 2 Tbsp. for each cup replaced. 1 cup = 480 cal. Science Says : Made from ground dates, it delivers all the nutrients in dates, including potassium and calcium--and is similar in antioxidants to molasses. Best For: Baking banana bread and bar cookies. To Use in Baking : For 1 cup sugar use: 2/3 cup date sugar. 1 cup = 1,200 cal. Science Says : This sweetener made news earlier this year when researchers detected high levels of the carcinogen arsenic in products made with it. To Use in Baking : For 1 cup sugar use: 1¼ cups brown rice syrup, reduce liquid by 2 Tbsp. and lower oven temperature by 25°F. Science Says : Not the same as high-fructose corn syrup, corn syrup contains less fructose and isn't as processed as HFCS. Best For : Setting up pecan pie, peanut brittle, popcorn balls and homemade candies. To Use in Baking : For 1 cup sugar use: ¾ cup corn syrup, reduce liquid by 2 Tbsp. for each cup replaced and lower oven temperature by 25°F. Science Says : Made from coconut nectar, it's low on the glycemic index. But because it's so new, there's very limited research available. Best For : Using as you would use brown sugar. Has a nutty flavor, but does not taste like coconut. To Use in Baking : For 1 cup sugar use: 1 cup coconut sugar. Science Says : Made from boiled-down sugarcane, cane syrup is about 50/50 fructose and glucose. Best For : Lightly sweetening iced tea and cocktails, as well as coffee cakes and biscuits. Has a nice, mellow caramel flavor and is a good vegan substitute for honey. To Use in Baking : For 1 cup sugar use: ¾ cup cane syrup, reduce liquid by 2 Tbsp. for each cup replaced and lower oven temperature by 25°F. What's your favorite sweetener and why? Any sweetener can be harmful to us if we had too much of it especially high fructose corn syrup. Some said it is deadlier than any sweetener and cheaper that's why you can find it in lots of processed foods and sodas.